Commemorate a first "home of your own" whether you're buying or renting. 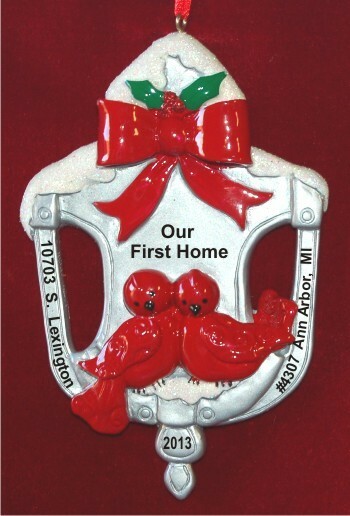 The door knocker our first home personalized Christmas ornament reflects the joy of having a place all to yourselves where you can celebrate the holidays together as family. It features a handsome knocker and a pair of delightful red birds welcoming guests to the home. 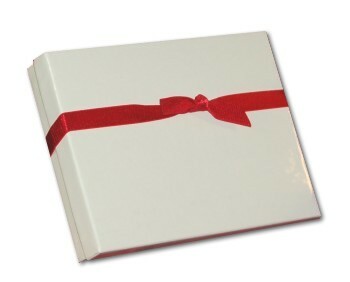 We'll help you create a personalized gift by adding your custom information where shown. Our artists paint them on by hand in a stylish font to create family ornaments personalized to be appreciated now and cherished in years ahead. The first home door knocker personalized Christmas ornament will delight you or a gift recipient when arriving in our plush velvet gift bag. Enter up to 6 characters. Enter up to 19 characters.